The Huanglongbing Multi-Agency Coordination (HLB MAC) group is extending the deadline for submitting project applications to Friday, March 8, 2019. Information on applying for funding, including the application template, criteria for evaluation and the submission process, is available on the HLB MAC site. The HLB MAC funds applied research projects that are likely to deliver a useable tool in the near future to citrus growers who are battling HLB, also known as citrus greening. Although the group does not fund exploratory or basic research projects, the HLB MAC will consider funding field trials of products that have shown promise in the laboratory setting. Projects are eligible for no more than 24 months of funding. · Focus on the investigator’s proposed solution or tool in the background section. 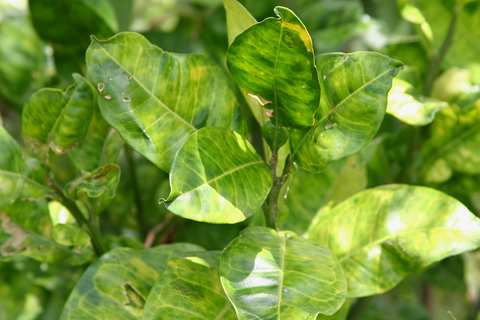 Do not recount the devastation caused by HLB. This information is widely known. Focus instead on your unique contribution to finding a solution. · Ensure your goals, objectives and milestones are reasonable for a 24-month project. The proposed project should be able to be completed within a 24-month timeframe. · Collaborate with citrus growers in impacted states to establish realistic field plots (in terms of size, crop spacing and varieties) that will allow successful tools to be easily transitioned to growers. · Give careful thought to commercialization of your tool or solution and explicitly address any potential regulatory impediments that may limit implementation. · Consider collaborating with researchers in other disciplines or states. For more information, visit the HLB MAC site.